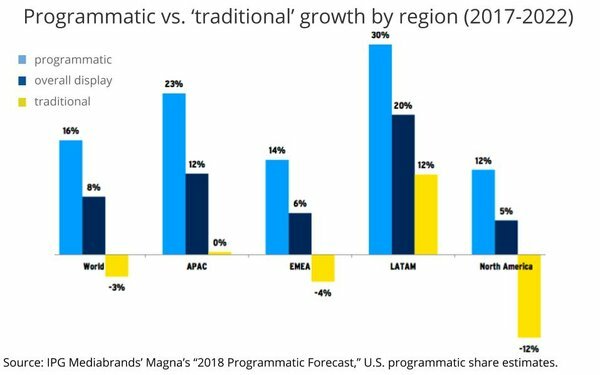 Programmatic ad spending is slightly higher than previous expectations, according to revised estimates being published by IPG Mediabrands’ Magna unit this week. In its 2018 programmatic forecast report, Magna now estimates the global programmatic ad marketplace is $34.1 billion, an upward revision from its previous estimate of $31.0 billion. “The revision was primarily because our total estimate of the banner and video market size increased,” explains Luke Stillman, senior vice president-digital intelligence at Magna and one of the authors of the report. Stillman said the global growth rate remained unchanged, up 22% over 2017, and that programmatic now accounts for 55% of worldwide digital media buying. 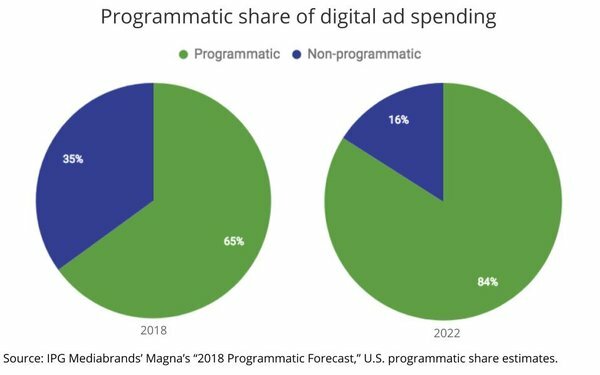 The biggest and one of the most mature programmatic markets in the U.S., programmatic now accounts for 65% of digital media buying and is projected to reach 84% in 2020. For the first time, the report breaks out the top brands and categories utilizing programmatic media buying, and the data shows that no single brand dominates the marketplace. With a 1.6% share, Sling TV is the No. 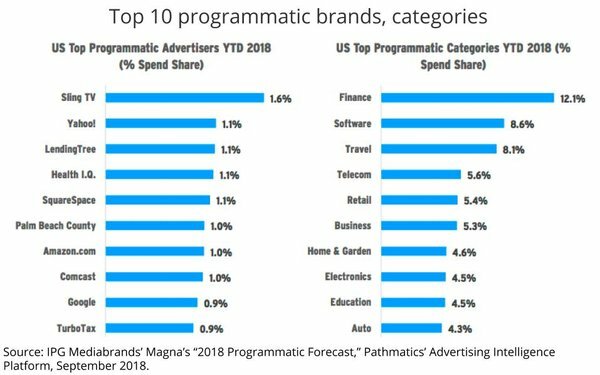 1 programmatic advertiser, according to Magna's analysis of Pathmatics data. Finance is the No. 1 category with a 12.1% share of programmatic ad spending, followed by software (8.6%) and travel (8.1%).